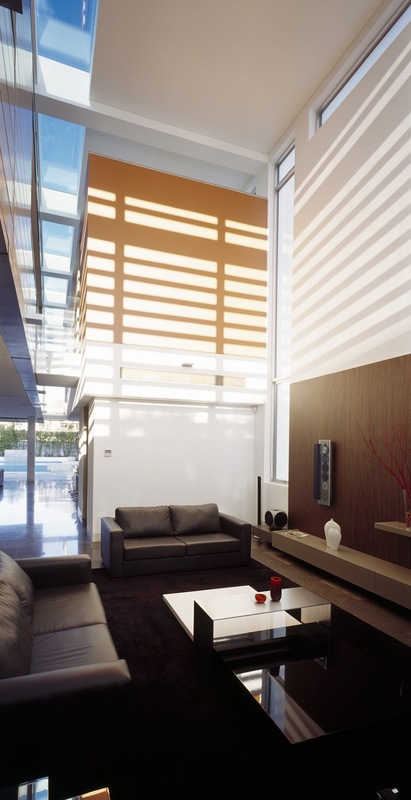 Open-plan living areas are nothing new, but in recent times there has been a noticeable change in the way these spaces are arranged. 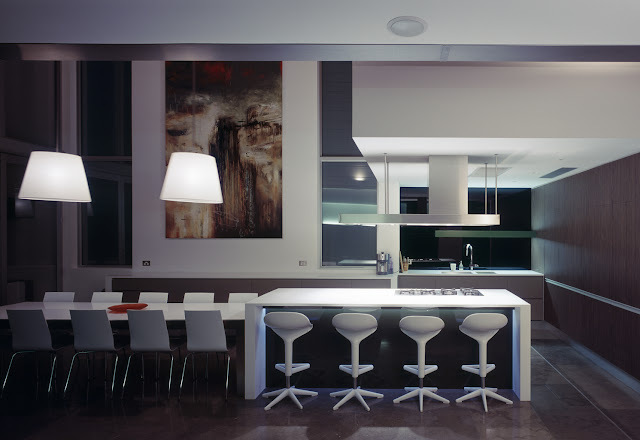 Kitchens are not simply tucked into a convenient corner – they are an integral part of the overall living space. This new house demonstrates just how much the kitchen is influencing interior design. Minosa designers Simona Castagna and Darren Genner say the trend has evolved to meet changing lifestyles, as family life, entertaining and food preparation meld together. 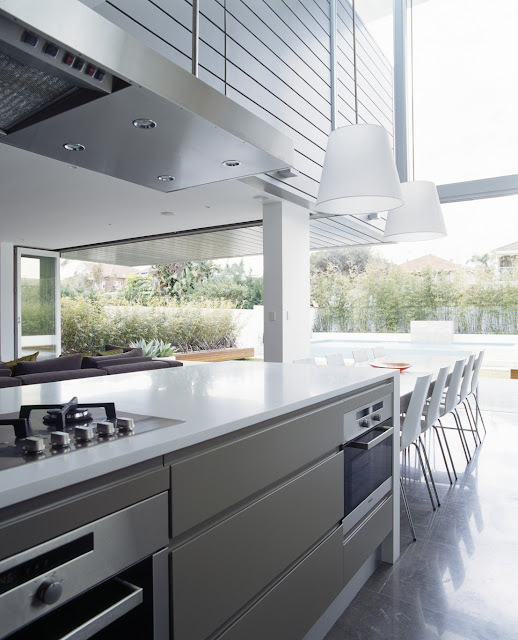 "The contemporary kitchen is much more integrated than in the past," says Genner. 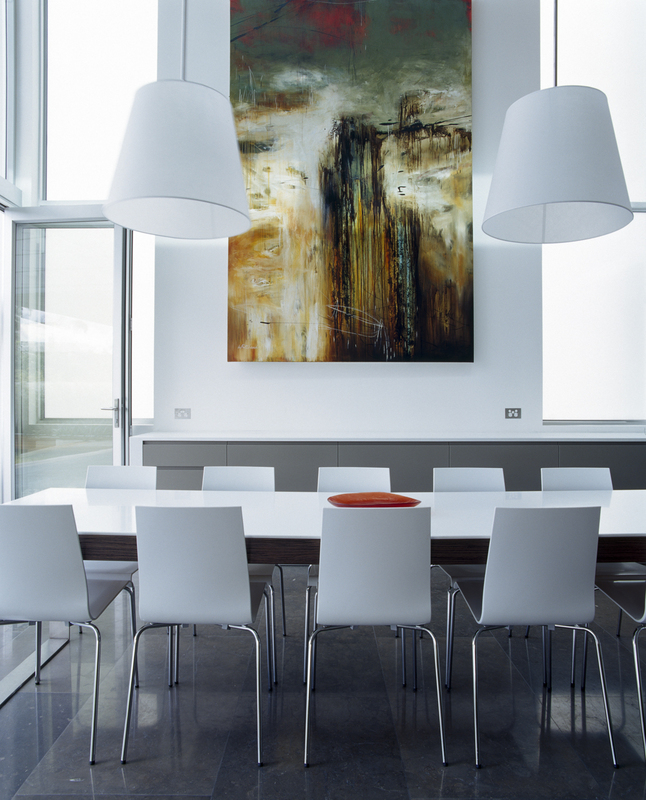 "Designing a kitchen in an open-plan area is not just about building a room without walls. It's more about taking over the entire space, rather than specifying separate areas for different functions." In this new model, materials and colours flow seamlessly. 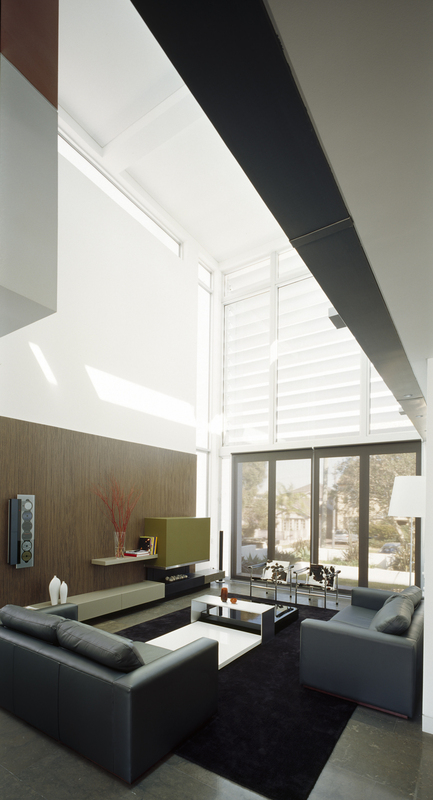 For example, the reconstituted walnut veneer cabinetry in this kitchen was extended right across the rear wall of the large living area. 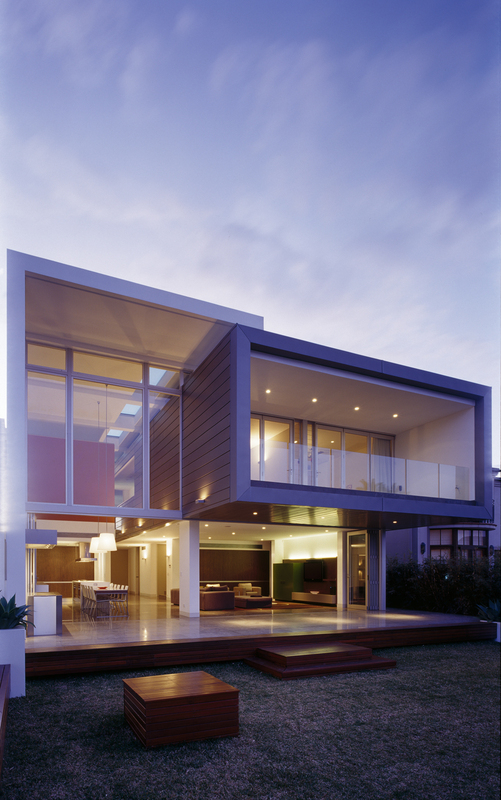 "There is always a need for plenty of storage in a contemporary house," says Genner. 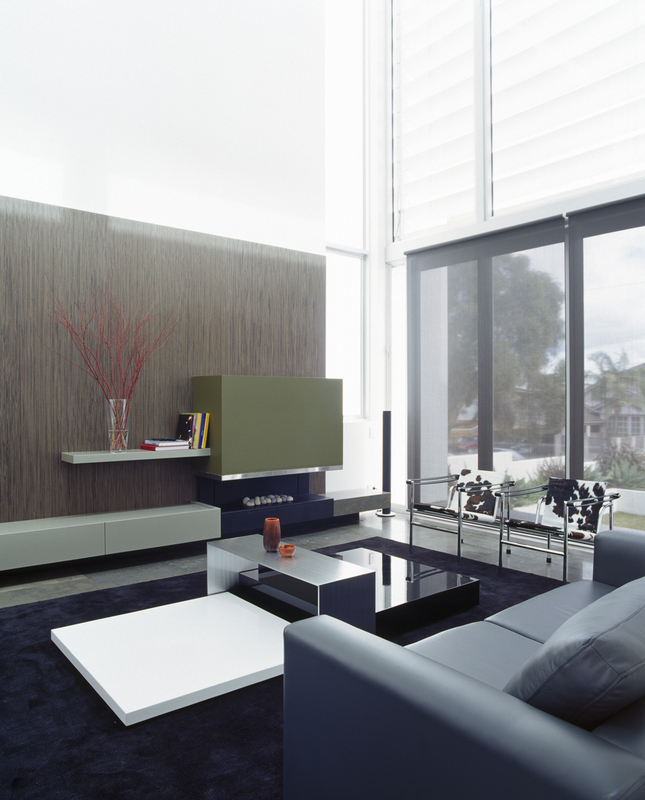 "Being able to hide clutter is essential to maintaining a simple, clean-lined interior. The two identical banks of cabinets help tie together the kitchen and living areas. Integrated refrigeration within the kitchen cabinets provides further visual continuity." Genner says the furniture-style look of the island and side cabinets also helps integrate the more functional kitchen elements. 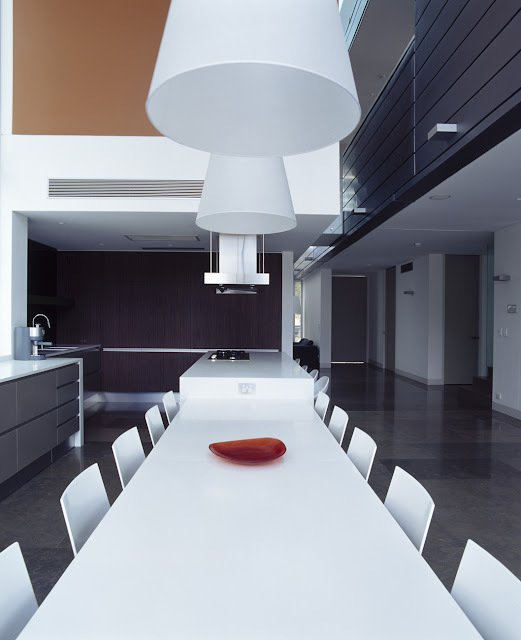 A custom-designed dining table extends from the island and features a similar Corian top. 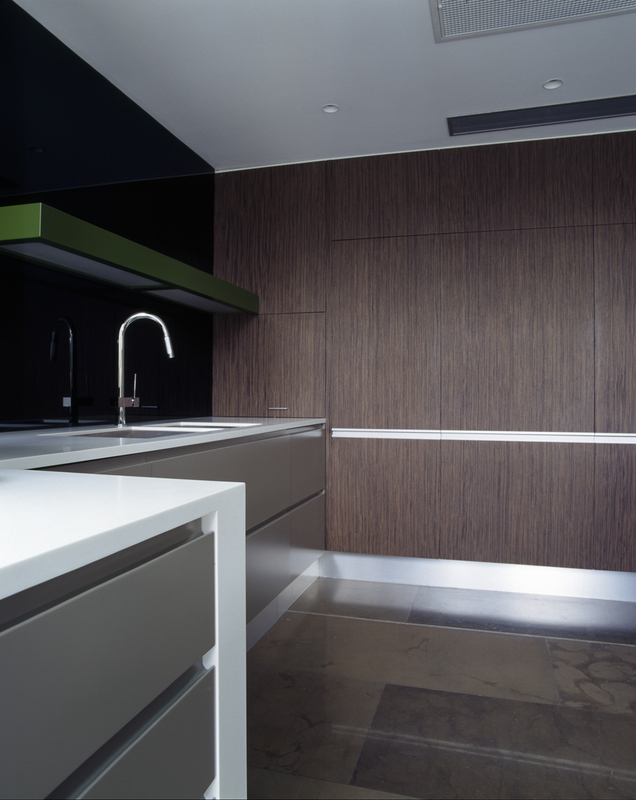 "The main benchtops are 24mm deep, but we have reduced that to 12mm with a 6mm rebate for the table, which produces a very fine, contemporary look. 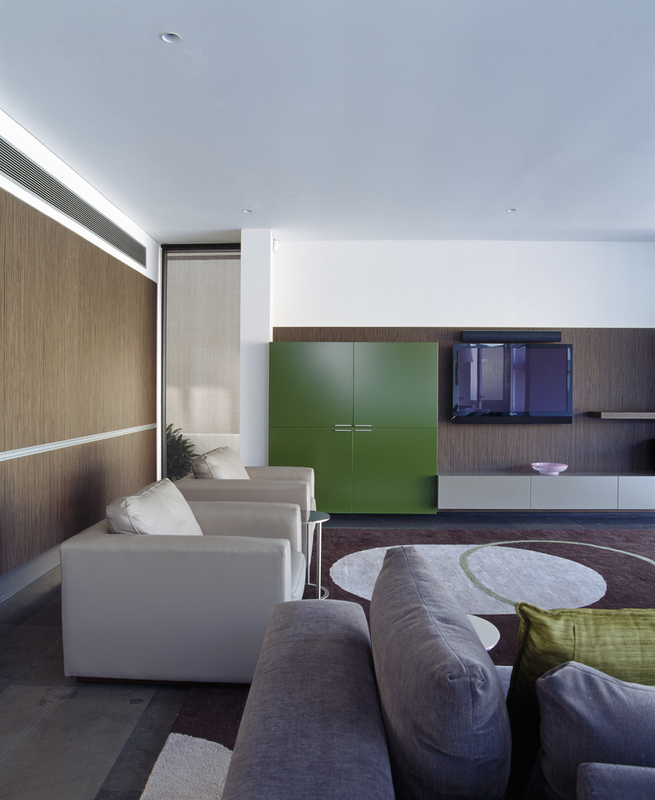 Walnut veneer around the edge ensures there is still a visual link to the cabinets." As with many modern homes, the living area is positioned within a void, with 8m-high ceilings above the table. 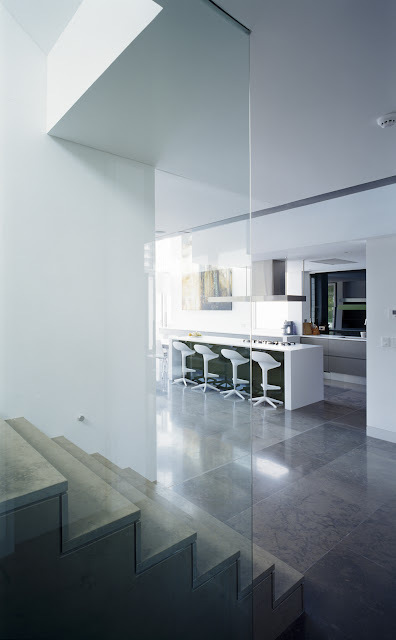 Pendant lighting is suspended from stainless steel tubing to prevent the fixtures swinging in the breeze. 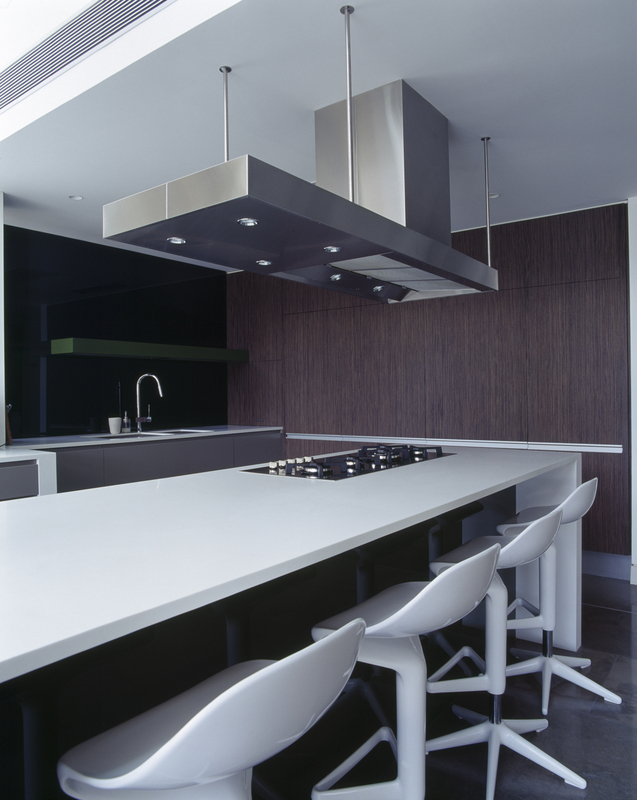 A custom-designed rangehood, fixed to a bulkhead, provides ventilation and lighting. "We have accentuated one side of the hood by extending it out towards the table – the halogens illuminate the entire island," says Castagna. 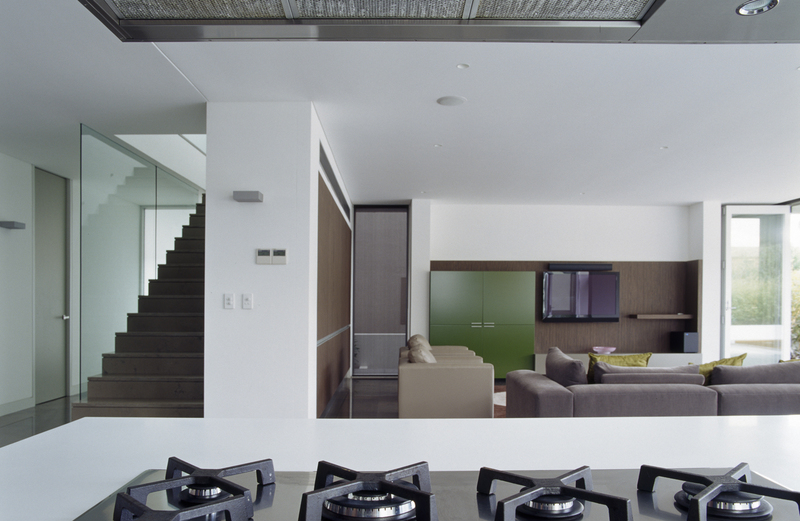 "There is also a custom glass lightbox, painted green to match similar elements elsewhere in the house. 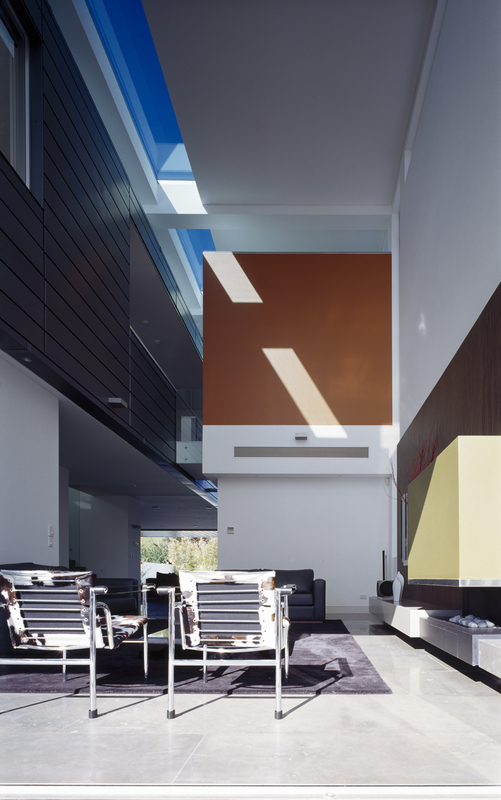 The box is cantilevered from the mirrored splashback to provide task lighting."